When I was young, I never needed anyone, making love was just for fun, those days are gone I was given a tape recorder for Christmas. Henceforth I spent all my free time filling TDK D90s with adverts, theme tunes, snippets of unsolicited conversation, musical experiments and, very occasionally 106 times a day farts. I was serious about this taping business, so serious that you can clearly hear me chastising my elderly half brother as he unleashes a deliberate raspberry during the soundtrack to Knight Rider c.1983. I was angry then and I’m still angry now. This obsession with recording culminated in to the creation of (ready yourself, world) HADSAUL RADIO, Hadsaul being a portmanteau of Haden (number 34, Park Mount) and Saul (number 20). We wrote HSR together, but recorded it at Haden’s house; he had superior equipment (notwithstanding my trusty Bontempi) and a younger brother open to being bullied into quickfire cameos. 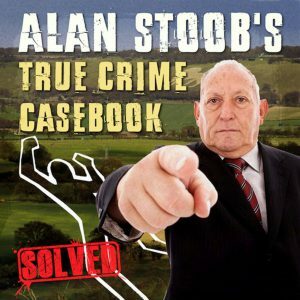 I accept that the below, generously converted to digital by Haden, will have limited interest save to the most diehard Saul Wordsworth fan (um…) but I post it chiefly to underline the genesis of Alan Stoob’s True Crime Casebook. HADSAUL RADIO did the rounds within my family. People laughed. I was pleased. As was Haden. But that was the end for HSR, a victim of its own success, suspended in perpetuity as 30+ minutes of fairly childish piffle. I attempted to revive the format with A BIT OF MATT AND WORDY featuring me (WORDY) and school friend Matt (MATT), aping A BIT OF FRY AND LAURIE, only with more sexual references than HADSAUL (we were 16). It too was fun, but we never got a second series. In the intervening 30 years I’ve done bits of comedy this, smatterings of comedy that, not least submitting endless scripts for radio, some of which garnered interest but none, save for a few sketches on BBC’s Newsjack, going into production. For a while I’d been thinking I should like to spoof the true crime podcast genre. At first listen he show sounds straight, but with subtle tweaks and exaggerations for comic effect. Then a close friend said, “why not record it as Alan?” This cleaved my brain in two and threw me into a state of cognitive dissonance, since this was both a brainwave and impossible; a brainwave since in terms of building an audience Alan already had a reasonable Twitter fanbase; impossible because of my deep concern as to how I might authentically pull off the voice of an 81-year-old from the Dunstable area. The narrator’s voice would be key. In the end, and after much experimentation, I settled on an accent as far removed from my own as I could muster. 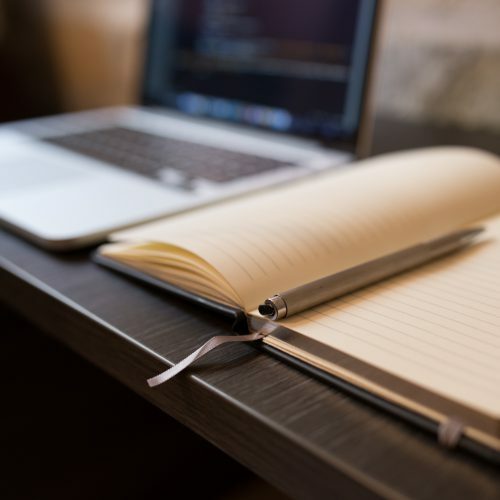 I set about writing the first episode. What’s the back story? Alan has stepped down as Britain’s Premier Nazi Hunter and is passing his retirement investigating cold cases in the Bedfordshire area. Is he just investigating these cases? No, I realised, he’s solving them. It was when I started recording podcast one, however, that I realised just how much I felt at home and how much I was in my element: composing the music, voicing spoof ads and fake interviews, generally playing the giddy goat. What did this remind me of? HADSAUL RADIO. The key elements are identical: music, interviews, ads, balderdash. I was also unleashing the cramped but willing performer in me, a part of my personality that sits just below the surface, ready to pounce. This is an overlong way of telling you how much I enjoy writing and recording these pods. Hopefully that comes over in the listening. I’m not expecting work, money or white goods to come my way as a result of their existence, am simply enjoying the buzz of creation. If you wish to listen/subscribe through iTunes click here. Or type ‘Alan Stoob’ into your podcast app and find him there.